Today, I am progressing in the long tail end of my recovery, and it is the official release date of the anthology that contains my first published original short story! This anthology started as an idle daydream between friends, and became a spectacular team project—a way for a bunch of early-career writers to put our voices out there and honor the organization that brought us together. 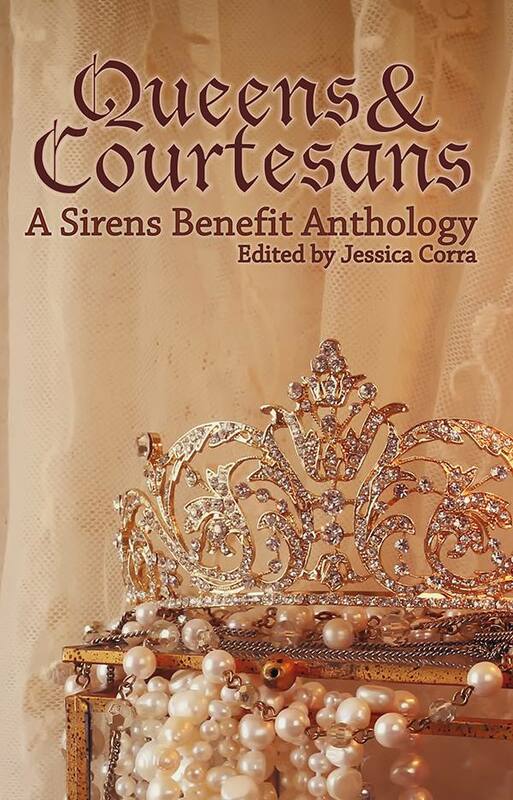 Queens & Courtesans is a labor of love; everyone who worked on it did so for free, and we decided to donate all proceeds to the Sirens conference for women in fantasy literature. For me, Queens & Courtesans was not only a splendid way for me to support the community that has given me so much. It was also a way to tackle a publishing goal alongside kindred spirits, a chance to work on a professional project with no gatekeeper but passion. As someone recovering from brain damage and starting graduate school, I could only have contributed to a project like this, a noncompetitive and not-for-profit collaboration that was all about exploring ideas. There is no audience I’d rather write for than my sisters at Sirens—and if your great love is feminist fantastic fiction, I consider you a Sirens sister, for sure. Thank you from my heart of hearts for your support, and I hope you enjoy our stories!